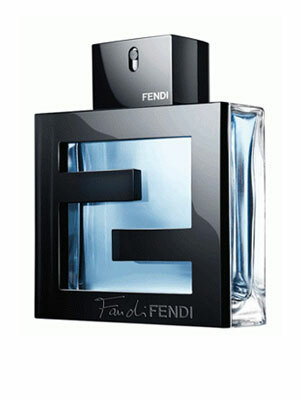 There are 7 reviews of Fan di Fendi pour Homme Acqua. Another 'aqua' flanker. Not a bad thing, as it smells very good. Very fruity and aquatic upon first sprays. It gets a bit peppery after 10-15 minutes, and then settles into a nice warm woodsy smell. 4-5 hours longevity with decent projection. Definitely a summer scent. The bad thing is, there are dozens of fragrances out there that smell almost exactly the same. What a fresh summery scent!a new twist on the beloved FAN di FENDI PH,with a refreshing attitude.it is not childish and carefree like another aquatic fragrances,this scent has a touch of subtle and elegance that makes it worth the 80 dollars i spent! Aromatic, Masculine, Urban, Elaborate,Casual but in a sophisticated way. The combination of natural-smelling citrus fruits,aromatic herbs,spicy pink pepper and romantic musk with a hint of leather,present a spirited and respectable scent that is for the man who likes to stand strong in his individuality.in fact it is a summery version of the original. FAN di FENDI PH AQUA is a go-to fragrance when you dont know what to choose and you can’t bother to waver. the aroma is uplifting and will definitely,get a positive reaction from others.I recommend it for a modern man (25/35 years old).The bottle looks great.Try it if you want to stand out in a world of mundane fresh aquatics! Longevity?Very Good for a Aromatic-Aquatic. I must agree with the reviews for Fan di Fendi Homme Acqua. It is nothing out of this world to say the truth. It is a clone to many other aqua scents in the market. I find it boring and fades away after 1 hour. The bottle looks nice on my shelf though. This was destined to fail, since it is a flanker to a non-descript and unoriginal jus. This only makes sense if you compare side by side to Fan di Fendi. It is an acqua version of that jus with the same dry down and all. I rated the original thumbs up and I am doing the same with this because it is not bad. It is simply not original or distinctive. but it fits as a man's fragrance true and true. I wonder if the samples that macys sent out were bad beacuse people saying they get good longevity out of this is mind boggling. I get littearlly 3 hours tops with this. And that is pushing it. Quiet possibly the worst fragrance at this price point for longevity and projection I have ever tried(and multiple times mind you). For the smell it self. I get a lot of alcohol a the begining and a for lack of a better word cheap smell for about anywhere from 5 mins to sometimes 20. Some fresh green sorta notes to it at the begining. But as that fades I actually get a pretty enjoyable candy sorta vibe. That reminds me a lot of guess seductive. Sadly the candy vibe starts to fade and I get more green again and it actually can be kinda sicking to smell to me. While the candy sorta smell is there its nice, but honestly performance wise I feel this is on part with adidas moves or something and I can get that for 10 bucks. Even with the nice candy portion of the fragrance its a skin scent so not much chance of anyone enjoying it. Awful bang for your buck imo. Cool bottle though I guess if your one of those people that care about that kinda thing.. ill give it a 2 because im sure it lasts better on some people. Cons: Possibly worst projection/longevity ive seen at this price point"
Wow, this is the most forgettable Acqua fragrance I have smelled this month. Starts out with the same old acqua formula everyone else uses...adds some "smarties candies" note, and calls it done. There are no member images of Fan di Fendi pour Homme Acqua yet. Why not be the first?